You’ve likely spent time thinking about the fun stuff you’d like to do when you first retire, but probably haven’t delved into the details of daily living as you age. Things like going to a friend’s house for a dinner party and picking up a bottle of wine beforehand or perhaps, choosing just the right birthday card for your niece and sending it on time. These little things add up to a meaningful life, but how will you accomplish them all later in life? There are so many things to consider that can help you live better while living longer. These days retirement planning starts with thinking about not only how much money you need to be comfortable, but also about how you want to live after you stop working. 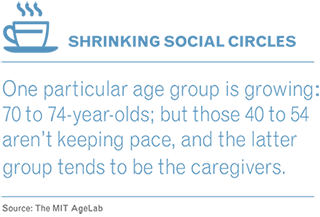 Three seemingly simple questions, developed by MIT’s AgeLab in conjunction with Hartford Funds, will get you thinking about how to ensure a better quality of life as you get older. This gets to the heart of long-term home maintenance and your ability to live comfortably (and safely) at home as long as you want. To get started, you should have your home assessed to see what modifications can be completed to create a safe and convenient environment for aging. You will also want to identify trusted service providers who can take on tasks around your home, and determine recurring costs. Friends, neighbors, family members, even your financial advisor, are good referral sources. Ask for recommendations and draft a go-to roster of professionals who can help. HOW WILL I GET AN ICE CREAM? While an ice cream isn’t essential to everyday living, what we’re really asking is how will you get something you want, when you want it? After all, part of living the good life is being able to easily participate in the little things that put a smile on your face. Enjoying that cone on demand requires reliable and safe transportation to get you there in a reasonable amount of time. Explore reliable means of transportation to help you get what you need, and what you want, before driving yourself is no longer an option. Who you have lunch with may be a good indicator of your social network – the friends you see on a regular basis who’ll support your healthy and active lifestyle, and on whom you and your significant other can depend for company or even help should the need arise. Think about those who make your day better and how you can spend more time with them. According to research from the Yale Medical Group, benefits go beyond the emotional aspects of keeping ourselves busy or entertained and can improve your physical health. The answers these questions generate can predict how rich and satisfying your retirement years will be. They move us away from finite costs and running numbers, and focus instead on living a meaningful life. That includes tangible retirement concerns, like housing, transportation, the relationships and connections that improve your quality of life, and the decisions and planning that go along with them. While our biggest fear may be outliving our wealth, there’s an even greater risk of losing our independence, being unable to access the little things that make us happy and falling out of touch with friends and loved ones. Your financial advisor can serve as the hub to help you connect the qualitative and quantitative aspects of your life and integrate them into planning discussions. Focus more on how you want to live and less on how much money you’ll need. Honestly discuss where you want to live and how you’ll continue living independently at home. 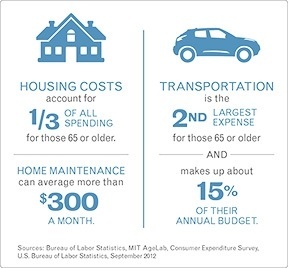 If “aging in place,” budget for renovations, maintenance and other services. Talk about your needs if you can no longer live safely at home. Factor in transportation options, whether by plane, train, automobile or public transportation. Think about staying connected to the important people in your life.